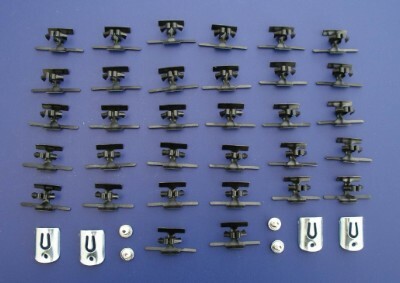 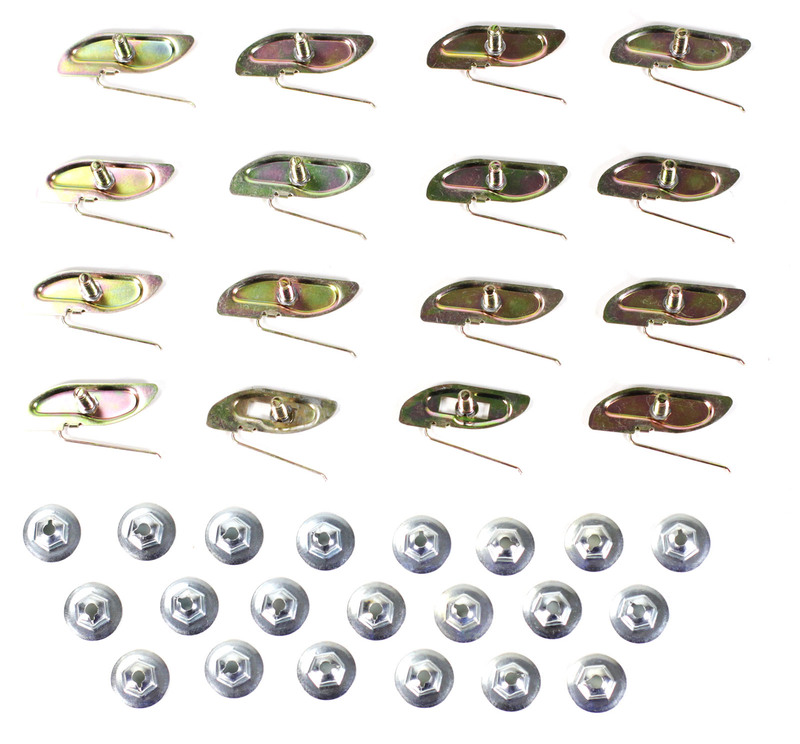 Here is a complete moulding clip mounting set for your 55 Chevy Bel-Air. 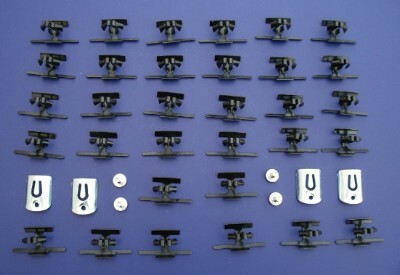 This set will work on all 1955 Belair's, 2-door and 4-door models, sedans, hardtops and convertibles. 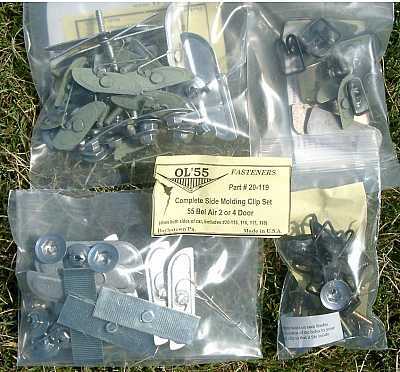 Every clip you will need to mount all your side stainless is included in this set.